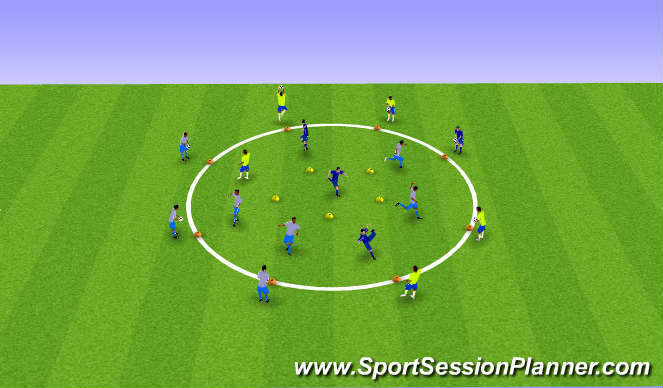 Challenge - Speed Changing Direction - 1.Feeder ground pass the ball to reciever. 2. Chest then volley the ball back to feeder. 3. Head the ball back to feeder. Feeders, squating and lunging well there waiting for the reciever. Switch tthe feeders and recievers after 2 mins, using inside/outside/laces of the foot. Learning Outcomes - Changing direction in the small yellow cones. 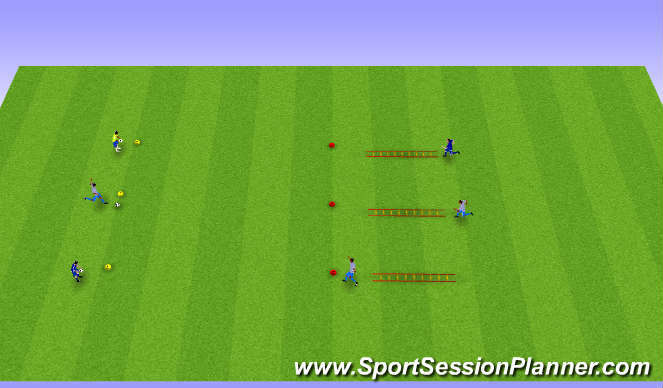 Challenge - Single leg efficency (speed) - run through ladders then pass ball back to feeder, head/chest then volley/ground pass. Learning Outcomes - (jump) how you land, (volley) how you flexibility (ground) how you balance.